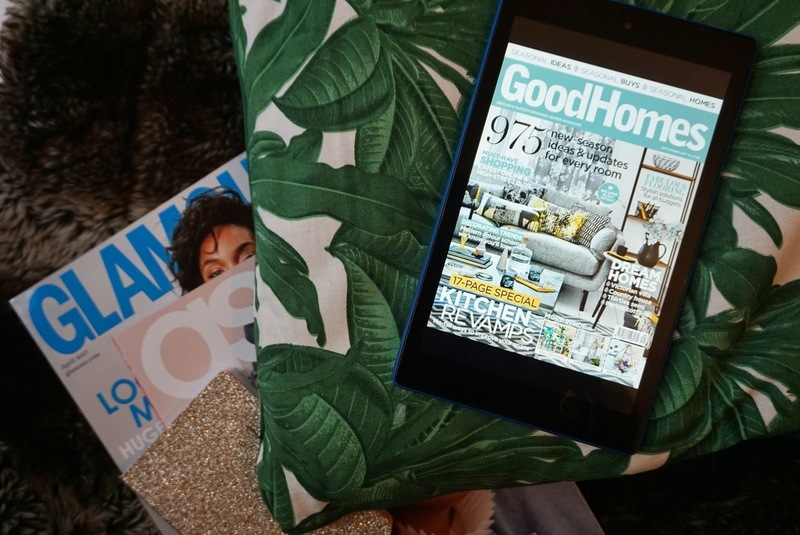 When did you last read a magazine? Sit down and go through one, cover to cover? The magazine industry is dying, so I keep on hearing. And I get it. With the sheer volume of content thrust at us in ever-expanding forms, let alone the access to free content on the phones in our pockets, and all without having to carry around a bulky tome (as well as your packed lunch, gym bag, a few bits you picked up at M&S, your handbag), it's easy to see where this opinion is coming from. 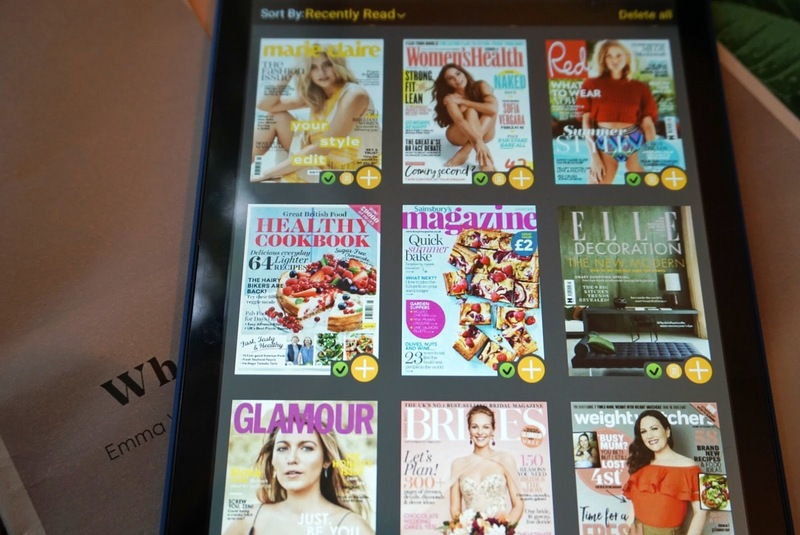 Then three months ago, I came across Readly - an app for magazines. 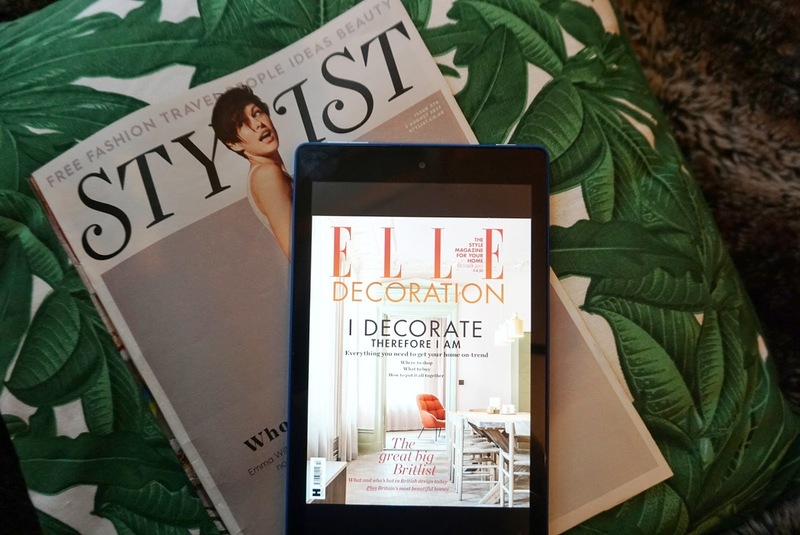 It's essentially like Netflix for magazines, a digital newsstand available on your phone, tablet or desktop, and I love it. It's not that I don't enjoy reading magazines, I really do, but given that one single issue can cost about £4 these days, a gal has got to think twice about such purchasing decisions. So, having access to a ton of magazines from the UK, Europe, and USA to name a few, as well as regional titles for £7.99 a month, has meant that I've been able to get back into enjoying a medium I missed quite a lot. Add to that, years of back issues and the options to download to read without wifi, and add up to five accounts, and to me it's a bit of a no-brainer. I've never been very good at reading books, I get bored quite easily, but give me half an hour and a few good articles to get into, now that is my jam. And I guarantee, you'll even discover a few secret indulgences. Turns out I really, really like Good Housekeeping magazine. No, you're an old biddy at heart. But seriously, I can find something to indulge all the women I am: the cooking enthusiast, the woman as into the psychology of the mind as she is fashion and technology; the woman that's curious about parenthood, but still wants to flick through Grazia and Look each week, while also continuing to find out more about photography. It's also helped me to discover magazines I never have noticed otherwise. I've found myself drawn to the more luxury interior magazines. While I hate aspirational fashion magazines (never buying a £3000 bag, not gonna happen), I'm completely here for drooling over velvet sofas, melamine flooring and concept furniture. 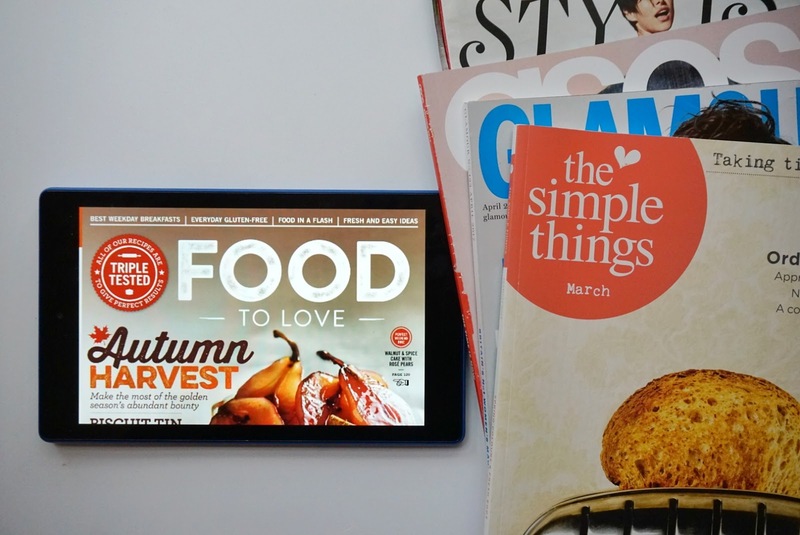 I'm also busy bookmarking many, many recipes in all of the food magazines available too. I'm quite fickle when it comes to paid for apps/streaming. I've cancelled Netflix and Spotify more times than I'd care to admit, but I feel like this is the one app I'll be keeping for some time. You can try Readly for a month for free. I think you'll like it.